Most lawns have an area or two where it is a real challenge to grow grass. The two most common problems deal with shade or high-foot traffic. Although, each of these situations poses unique challenges, proper seed selection and maintenance can ensure a healthy, green lawn. A healthy lawn tip to remember is, that in a very broad sense there are two types of grass used on lawns in the U.S. – cool-season grass and warm-season grass. Since New Jersey resides in the cool-grass climate zone of the U.S. cool-season grasses grow best here. Cool-season grasses include: bent grass, bluegrass, tall fescue, creeping red fescue, buffalo grass and perennial ryegrass. Since most grass thrives in sunny locations, finding a grass to grow in the sun is relatively easy. But when that area needs to handle high foot traffic, the options begin to narrow slightly. Kentucky bluegrass: Possibly the most common of all cool-season grasses. Although, it can be slow to establish from seed this grass handles cold winters and fills in easily. Most importantly, though, foot traffic does not damage this grass. Perennial Rye grass: This medium textured grass handles traffic and drought conditions easily. It also mixes well with other grasses. Caution: Do not use fine leaf fescue in high traffic areas since this grass has a low tolerance for foot traffic. Shade means different things to different people, so let’s define shade. When dealing with grass, a shady area gets about 4-6 hours of sunlight per day. If the area gets less than four hours of sun a day, consider planting a groundcover instead of grass. Fine-leaf fescue: Although this grass has a low tolerance for traffic, it performs well in the shade and is also drought tolerant. Tall Fescue: This is a great low-maintenance grass that thrives in shade. It handles foot traffic slightly better than fine leaf fescue and it is known for the rapid establishment rate of its seed. 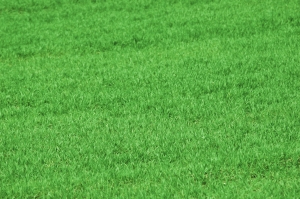 Blend of fescue, perennial rye and Kentucky bluegrass: Although Kentucky bluegrass does not do well when it is the only grass variety in a shady area, in a blend with rye grass and fescue, the three grasses create a shade-tolerant mix that can handle foot traffic. 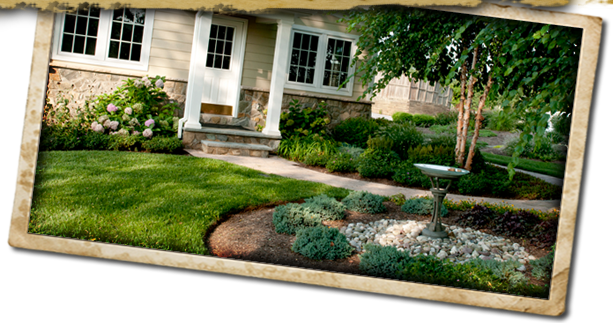 Contact us today to discuss your landscaping and lawn care needs. Copyright 2012. Palughi Landscape Services, Inc.